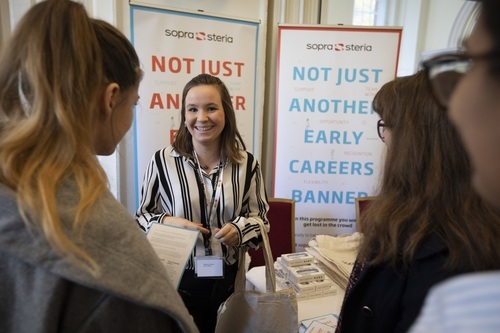 Graduates join Sopra Steria because we offer great training, development and career progression. You’ll be working in an environment that is stimulating and challenging, where we’ll give you the opportunity to make a difference early on in your career. It’s an exciting time for us as we build our business for the future and we’ve designed our graduate programmes with the future in mind too. Our aim is to give you the skills and experience that develop your potential as well as providing the foundations for you to build your career as a future leader in our business.